We’d love your help. Let us know what’s wrong with this preview of The Anatomy of Curiosity by Maggie Stiefvater. In a faraway land convulsed by war, a young soldier hears the desert’s curious hum as he dis The follow-up to the acclaimed title The Curiosities: A Collection of Stories by Maggie Stiefvater, Tessa Gratton, and Brenna Yovanoff. To ask other readers questions about The Anatomy of Curiosity, please sign up. I recently borrowed this from the library without realising it was a sequel. Is it necessary to read 'The Curiosities' first, or can this book be read on its own? Brenna, Tessa, and I wanted to do another collection of fiction that was more hands-on useful for aspiring writers. Here it is. Four stars: A must read for anyone who aspires to be a writer. What happens when three brilliant and creative authors decided to come together and write three short stories that chronicle their writing process? Brilliance! This book is three unique stories, by a trio of talented and masterful writers: Maggie Stiefvater, Tessa Gratton and Brenna Yovanoff, but it is so much more than three stories. This book chronicles each writer's unique style and process of writing. In each story, there are aut Four stars: A must read for anyone who aspires to be a writer. What happens when three brilliant and creative authors decided to come together and write three short stories that chronicle their writing process? Brilliance! 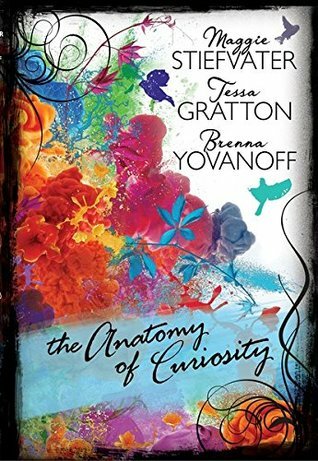 This book is three unique stories, by a trio of talented and masterful writers: Maggie Stiefvater, Tessa Gratton and Brenna Yovanoff, but it is so much more than three stories. This book chronicles each writer's unique style and process of writing. In each story, there are author asides, where the writer takes the time to explain why she does what she does in that particular section. Stiefvater delivers a creepy little tale that is completely character driven and it is fantastic. Gratton is all about world building, and her story shows how world building is integral to everything. Yovanoff's portion is a bit different. She provides several versions of her story, all revamped and different. This is a must read for anyone who wants to write. I am in awe of the authors and their talent. This was such an interesting tale. I was completely drawn in by the characters. I especially enjoyed how Stiefvater explained how her characters came to life. The ending was a bit disturbing and it isn't spelled out, but you have enough clues provided that you can figure out how it went down. A fascinating story that is all about the characters. Tessa Gratton's story, Desert Canticle, is a lesson on world building. Her story takes us to a female driven society in the throes of war in the desert. At the end of the war, members from the warring factions must work together to disarm the magical bombs that are lovely like flowers and deadly. One of the alliances, brings us a Pacer and a Mage, who fall in love, but their relationship is balanced on a shocking secret that changes everything. This was my first foray with Ms. Gratton's work, and it won't be my last. I am always a stickler for world building, and so I appreciated that this story was all about the world. It was a fantastic lesson on how world building is done right, down to the smallest details like what the characters eat. My one complaint is that the story is open ended, and it is up to the reader to decide the fate of the romance. The final story, Variations on Drowning, was the one that I struggled with. This is Brenoff's numerous takes on her story. She presents basically the same idea, but it evolves and changes completely from one version to the next, and I had a hard time picking up the converging thread in each story. Still it was interesting to see her pick apart her work, and see how she got from one version to the next. I wasn't as invested in this story as the others, though. The Anatomy of Curiosities is not your average read. This is book that anyone who aspires to be a writer needs to read. What you get are three short stories by three different authors, who pick apart their work and explain the process of how they wrote the story during the story. This book shows what it takes to be a successful writer, and how each style is different. Even though I have no aspirations to be a writer, I appreciated this book. It was fascinating to get into each author's head and uncover their writing process. I can see after reading this novel, why these three ladies are renowned in their field. Don't miss this one. Oh my! What a wonderful book. I had such a good time reading these stories and the author’s comments that the rest of the world just stopped. Brenna, Maggie and Tessa are great storytellers. Even better, they are able to write about how they go about writing. I think anyone who wants to write fiction should pick up this book. I have never had any intention of being an author. Since writing seems to be hard work, not magic, putting my fictional thoughts on paper for the entire world to see has no interest for me. I am happy to share my thoughts on my reading on this website, but that is my limit. The stories are well told. Each author has a way of looking at the world that is special to them. Brenna works through the idea of the story, Tessa is a world builder and Maggie devotes her writing to the characters she invents. It was good to read these stories knowing each writer’s interest. I was thoroughly engaged by all the stories and would like to spend more time with the characters that these women have invented. Although the comments throughout the book were aimed at new writers, as a reader I found them helpful also. I tend to read so that I visit new worlds and meet new people. It was fascinating to see how these authors dealt with those issues. Maybe you don’t usually read material aimed at young adults. Well, these stories are for anyone – the characters are not immature. Maybe you never thought about what appeals to you about stories – don’t worry, you can ignore the comments. This book is a good read, well worth most readers’ time. Just read the intro and see if it appeals to you. Thank you to Edelweiss and Carolrhoda Lab for sharing an ebook copy of this title before it was published. I've read and enjoyed some Maggie Stiefvater books, I own but haven't yet read some Brenna Yovanoff novels, and while I'm not interested in any of Tessa Gratton's works she seems like an awesome person on social media. The Anatomy of Curiosity is a great opportunity to get into the authors' heads a bit to see how stories develop out of vague ideas. Three different authors; three different approaches. Maggie starts with characters, Tessa begins with a world, and Brenna has a topic. They ask themse I've read and enjoyed some Maggie Stiefvater books, I own but haven't yet read some Brenna Yovanoff novels, and while I'm not interested in any of Tessa Gratton's works she seems like an awesome person on social media. The Anatomy of Curiosity is a great opportunity to get into the authors' heads a bit to see how stories develop out of vague ideas. Three different authors; three different approaches. Maggie starts with characters, Tessa begins with a world, and Brenna has a topic. They ask themselves questions, rule out possibilities in order to get to the heart of what they want to focus on, and sometimes they meander around in several different ways until finally figuring out what and how they want to say. Maggie Stiefvater's "Ladylike" sparked from an idea about an older woman and a teen. The story doesn't particularly intrigue until the appearance of a guy in the woman's apartment, and waiting for that to happen includes plodding through some pretentiousness. To the poetry's credit, when checking on Wikipedia to determine if a poet mentioned in the story was real (he was), the word "algolagnia" added to my vocabulary, so that's a positive. When the lady talks about context, and how pieces of the creator end up in their creations, it makes you wonder. A common discussion among readers is how to deal with problematic authors - and by that, do we stop reading their books entirely? Or continue to read them, whilst knowing that some of the authors' worse personality aspects may end up in their characters? Will disliking parts of the author affect enjoyment of their works? Tessa Gratton's idea of magical bombs is intriguing, but the way she tells it doesn't really appeal to me. I have no interest in made-up lands; I prefer to read about real places. I'm definitely an urban fantasy fan, not one of traditional/epic/high. But while the author's inspiration focuses on world-building, based on "Desert Canticle" her strong point is characterisation. The big reveal doesn't come until the story's midpoint, but from then on the tale really makes a stand. If Tessa Gratton ever writes a contemporary, it would be awesome. I'm not sure how to follow Brenna Yovanoff's "Drowning Variations", so I've decided that it shows several drafts of wandering and explaining, the author talking to the reader about how she found the right story in which to incorporate a teen drowning. And so I believe "The Drowning Place" is the REAL story, and everything else is just leading up to and discussing it. "The Drowning Place" is four-star quality. As for the other "variations", they take the place of margin notes (which the other authors' contributions had, but this one doesn't). This is the first book I read that is both nonfiction and fantasy. I highly recommend it for those who like to watch the behind-the-scenes of your favorite movies. As stated in the book, there are two ways to read this book. My rating for the actual storie This is the first book I read that is both nonfiction and fantasy. I highly recommend it for those who like to watch the behind-the-scenes of your favorite movies. As stated in the book, there are two ways to read this book. 3. Brenna Yovanoff - *** to **** the first part confused me but when I finally understand what's going on I enjoyed the story a lot. If you're interested in the how to's of writing, than this book gives very good, insightful and hands on advice. 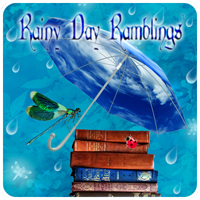 If you live these three authors, but aren't that interested in learning how they write a story, than here are 3 great stories that you can enjoy on a purely reader level. Maggie's story was my favorite, hands down. The description was amazing and I loved how much the main character really came into her own. Tessa's story involved war and magic and deserts. For some inexplicable reason, If you're interested in the how to's of writing, than this book gives very good, insightful and hands on advice. If you live these three authors, but aren't that interested in learning how they write a story, than here are 3 great stories that you can enjoy on a purely reader level. Seriously, I would touch The Scorpio Races by Stiefvater for a long time because I got it in my head that it was about horse racing in the desert and I was like, nope. I did read the bits about Tessa's advice, but not the whole story... I also blame my grief for this, as I can't concentrate if the story feels to slow, because then I will hear a dog bark j the distance and be distracted with thoughts about my little brown dog whom I miss very much. Sigh. So, this Tessa's story might be something I go back and read fully later. Brenna did her story differently because she's different, and we get a few versions of her story before the final, true version. And I really liked it. Of course, I read it poolside, so that definitely enhanced the theme of drowning and water and it had a fantastic ending. I was honored by the lovely Tessa Gratton with the opportunity to read this prior to its release and I'm still not over it. This was a very lush and detailed exploration of craft and story. I think it did an awesome job of juxtaposing what might appeal to a reader's curiosity and what a writer would want to know - and the areas where they overlap. 4.5 stars. It was so darned close to five that I rounded up. This anthology by these authors were different than there first one instead of lots of short stories there were three main stories and each author focus on a subject to help improve your writing the three main ideas were characters, world building and ideas. Each author had side notes on how they thought of this idea and how each day they improve with there advise they got from friends or critique partners. Maggie's story: Her story was about a girl who was hired to read poetry to an old women with distinctive taste (an not the food kinds) This story showed use how to improve your character in many ways, like there relationship with other characters, there own inner conversation and anything they had in common with everyone. This story had a lot of never judge a book by it's cover or a person to be exact and when the main character found out what the old lady was she still came coming back and they learned from each other. Tessa's story: Her story is about a guy who goes back to the war in the desert after he comes back since the first one and this war is different from the other ones because the rebels have left flowers bombs all over the desert and learning to love someone who's someone she's not. This book has to deal with world-building and how to develop your world and story throughout the book and make it match what your character about the world. The world match the feeling you get with the characters and I think this one is my favorite one. Brenna's story: This one is about a girl who is trying to write a story from her ideas and has different variations. This one I didn't like as much as the others because it was very confusing on where the story was going and I liked the story afterwards that she made but it was okay. Her part of the story was how to form her ideas to life from dreams and thoughts that you had, it was interesting on how they show you these ideas she got and the rough drafts are were blank pieces. Three short stories by the same three writers (friends) who brought us The Curiosities. The three stories are as much about their writing process as they are about the stories. Each of the three focuses on one aspect of story-telling, their own main driving force when it comes to their writing. For Maggie Stiefvater, it's character; for Tessa Gratton it's world-building, for Brenna Yovanoff it's the idea. Each of the stories comes with the author's wry, often funny, often insightful notes, and i Three short stories by the same three writers (friends) who brought us The Curiosities. The three stories are as much about their writing process as they are about the stories. Each of the three focuses on one aspect of story-telling, their own main driving force when it comes to their writing. For Maggie Stiefvater, it's character; for Tessa Gratton it's world-building, for Brenna Yovanoff it's the idea. Each of the stories comes with the author's wry, often funny, often insightful notes, and in the case of Yovanoff''s story, two completely different drafts from the same idea. All three are wonderful writers, with some similarities in style and type of story. I enjoy Stiefvater's writing a lot, generally speaking, however despite her story being about character and development of character, and how the characters shape the story, while I still enjoyed her flow of words on the page, I found her story, "Ladylike" worthy but not particularly compelling, and for a story showing character as the driving force, the characters were strangely cardboard. Unfortunately, I couldn't get into Gratton's story at all and ended up skipping it. There's too much world building--which is her thing, but it's not for me. Not in this story anyway. It became complicated and the story is too bogged down in the details. I didn't finish it. A shame, as I've enjoyed Gratton's stories in the past. The standout for me is Yovanoff's story, in particular the second draft of the idea ("The Drowning Place"). This has everything I love in a story and is simply breathtaking. Flowing, beautiful writing, characters with depth, and a bittersweet ultimately hopeful tale. Her notes on the process and how the two ideas came about are excellent. What I take away from the story-crafting part of the book is that story can't be rushed. It takes as long as it takes. For some that may be days, for others that may be years. Most of us (me) are somewhere in the middle. As a compulsive reviser, I am also in the camp that once you write "The End" (or in my case ((((FIN)))) - I don't know why, I've always done that) it's really only the beginning of the real work. I would give Stiefvater's story 3 stars, Gratton's 2 stars, and Yovanoff's 5 stars. I'm settling on 4 stars. Yovanoff was THAT good. I read The Curiosities: A Collection of Stories last year and it was really neat. I enjoyed the different stories and commentary. I kind of expected something similar out of this book. BUT THIS BOOK! It's awesome. It focuses more on the writing process. Maggie, Tessa and Brenna talk real talk about the process of creating, writing and revising a story. They each write a novella, but they break down the writing process of how they get there and since they each have different writing styles, it's s I read The Curiosities: A Collection of Stories last year and it was really neat. I enjoyed the different stories and commentary. I kind of expected something similar out of this book. BUT THIS BOOK! It's awesome. It focuses more on the writing process. Maggie, Tessa and Brenna talk real talk about the process of creating, writing and revising a story. They each write a novella, but they break down the writing process of how they get there and since they each have different writing styles, it's super interesting. For Maggie, everything is about the characters, while Tessa starts with world building, and Brenna on the idea. It's a great book on writing technique bc you can see from step 1 to the finished product so it goes into your brain in a different way than just a normal how to writing book.. Also, the novellas are awesome too. Steifvater's Ladlike: Good character development, interesting characters, and fun relationships. Gratton's Desert Canticle: Possibly my favorite piece of short fiction ever. Desert Fantasy! Love story! Gender Roles! Amazing world-building! Most books about writing are Writing 101. This is Writing 106, along with a spoonful of sugar in the form of luminous stories. They serve both to illustrate the points and to make learning more fun. These three ladies know immense amounts about writing, and I love that they start you at the upper levels, at the holy-wow-you-put-some-thought-into-this level of composing fiction. I found myself highlighting until I crashed my Kindle with it. And the stories. Oh the stories. "Ladylike" is terrible Most books about writing are Writing 101. This is Writing 106, along with a spoonful of sugar in the form of luminous stories. They serve both to illustrate the points and to make learning more fun. And the stories. Oh the stories. "Ladylike" is terrible and gorgeous and meticulously crafted. "A Desert Canticle" is true and tragic and lovely and then surprising as all hell. It felt like an epic fantasy novel's worth of experiences, somehow wrapped up in a short story, like a clown car where you can't believe they packed in so much so effortlessly. "Drowning Variations" puts me in mind of a Monty Python quote: "And now, for something completely different..." It's a naked and terrifying look at the twisty process by which we start with an idea, mine it for its soul, and then bang our faces into our desks over and over, trying to truly represent the whispering voice within us in mere words. I congratulate Ms. Yovanoff on her honesty and on sharing the whole process, which was fascinating and uplifting both. I was not the target audience for this book, and I knew that going in. This is a book for aspiring writers. Or for people who have questions about the writing process. I read this book because I adore the authors who contributed to it. The short stories included are good and worth reading. The advice and processes given by the authors are interesting and can give non-writer readers, such as myself, insight to what these authors are thinking...which is just cool. However, I found the notes to distr I was not the target audience for this book, and I knew that going in. This is a book for aspiring writers. Or for people who have questions about the writing process. I read this book because I adore the authors who contributed to it. However, I found the notes to distract from the story, because that's not really why I was reading it. The last section, by Brenna, really read more as non fiction than fiction. Overall, I think this is a fantastic book for the intended audience, and I totally recommend it for any writers out there that are still perfecting their technique. The Curiosities: A Collection of Stories and The Anatomy of Curiosities are a couple of great anthologies. Maggie Stiefvater, Tessa Gratton, and Brenna Yovanoff all have very odd and eccentric authorial voices. The anthologies introduce them individually and as a team (Merry Sisters of Fate) in an engaging way. I've become intrigued with them from reading their peculiar stories. Give 'em a try, if you're curious. Do not read this on ereader. Get a print copy. Omg. I really enjoyed this but the actual stories with the commentary were basically unreadable in my Overdrive app. I read through all the self contained reflections and a little bit of each story but it was so visually chaotic in this format that the stories were so hard to read. It must be better in the print version. It has to be. I refuse to believe it is this bad when they have a full page to work with. This is just a bad port to the small sc Do not read this on ereader. Get a print copy. Omg. I really enjoyed this but the actual stories with the commentary were basically unreadable in my Overdrive app. I read through all the self contained reflections and a little bit of each story but it was so visually chaotic in this format that the stories were so hard to read. It must be better in the print version. It has to be. I refuse to believe it is this bad when they have a full page to work with. This is just a bad port to the small screen ebook format. I read most of this. I enjoyed it. I would recommend it. But format matters. It was really interesting to see someone break down writing advice in such a tangible way. This story at this moment in this context. Most writing advice tends to be more general and theoretical so the specifics were great in this. I thought this was just a book of short stories. I was wrong. Together, Stiefvater, Gratton, and Yovanoff share their writing advice and experiences, winding together three completely different tales into a single lesson on things such as ideas, plotting, word choice, and the intrepid "write what you know" phrase. I highly recommend for people who like to write, or for people who enjoy good story telling. I definitely recommend this be added to school and public library collections. If you are a writer and know others who write and would like to improve their skills by learning from others, then this a stellar anthology. If you are just a fan of Stiefvater, Gratton, and or Yovanoff, then you will enjoy it as well! This book gave me itchy fingers. As in, now I want to write. As in, I can give a book no higher praise. As in, thank you Maggie and Tessa and Brenna very much for sharing your methods. If you like doing that writing thing, I highly recommend this. great advice and cool stories! These 3 stories are for writers and readers alike. Every one of them is beautiful and so well done, and the best part is that YOU, the reader, are able to see how the story was shaped. This story-the story of Geraldine and Petra-made me first think of the parts of To Kill and Mockingbird and the Book Thief where the young protagonist is forced into reading to an older lady. However, the resemblance stops there, as neither of those ladies were literally human eating creatures whose species were going extinct. Petra is a blusher. At least, any time she interacts with others. However, she’s part of the oratory club and even with her uncontrolled reddening of her face, she does well and seems to enjoy it. At some point, someone important hears her and requests that she become a companion for an older woman-Geraldine. And so Petra goes, taking the exhaustive stairs of a six story building each time, and becomes a companion and reader to Geraldine. Over the days and weeks, Petra grows in her skills and confidence, but, eventually, Geraldine starts to decline. Even if you don’t read the intro and notes that precede the story, it’s obvious that something is not quite kosher in Geraldine’s apartment. Even Petra notices the dark red stains on occasion. Yet, she continues to visit, growing fond of the old lady. The conclusion of the story, in which Petra finds out the truth, is bittersweet, but made me happy. Not only has Petra been able to become a confident young woman who advocates for herself, we find out that Geraldine has been showing amazing strength and willpower all these months. I said the resemblance to those other works stopped with the story reading...but now I’m very much reminded of how Scout found out that the lady she read to had been an addict of some sort and the reading and companionship had helped her to go without. Honestly, this would be a neat story to read in comparison to that book, if someone was willing to do that in a high school English class. I’m uncertain how I feel about this story. I think that, as it had so many unfamiliar things to me in it, it was a struggle to relate to the characters for a majority of the narrative. Rafael starts out well enough-a soldier doing his part, an exemplary finder of rebels. I couldn’t quite connect with the killing portion, but I do know that can be a soldier’s obligation. He goes home after the war, but returns for another tour, one that will hopefully bring peace between the two formerly warring groups. Rafael is placed with Dinah Aniv, the best mage in the Star tribes, to rid areas of flower bombs. They work together, gradually building a bond and trusting one another. It is evident that Rafael has feelings more than soldiery camaraderie, but is trying not to act on them. Yet, a night of celebration leads the two to dance and share a moment, which leads to Rafael being told a secret that rattled his worldview much in the way as the magical IEDs have done. More than anything, I wish that we wouldn’t have been given the heads up-right near the first of this story-that things were not quite what they seemed. When the big reveal came, it wasn’t a shock so much as an “oh. Okay. That’s why that line was thrown in.“ And while I get that this was supposed to be some akin to Rafael’s diary after the war and second tour, I feel like he would have either given more hints throughout the telling, or not mentioned it at all. I definitely recommend this book along with its predecessor (The Curiosties) for anyone interested in writing, or curious about the process of writing, or fans of the three authors and/or YA fiction in general. This one is a bit different from the first book. Rather than a large collection of shorter stories, this one has three longer stories, each written by one of the authors, each focusing on a different element (characterization, world-building, and ideas). The first two are final drafts of I definitely recommend this book along with its predecessor (The Curiosties) for anyone interested in writing, or curious about the process of writing, or fans of the three authors and/or YA fiction in general. The first two are final drafts of the stories--Maggie Stiefvater's "Ladylike" for characterization and Tessa Gratton's "Desert Canticle" for world-building--which have little side-notes through-out that talk about their reasons for writing things certain ways and changes they made while revising. Of course, I adored "Ladylike" as I'm a huge Stiefvater fan and it was very much her style, so character-driven. "Desert Canticle" didn't grab me as much--the writing is very good, but it is a more literary style I found hard to connect with. Still, the comments by the author were very interesting. The third section features Brenna Yovanoff's "Drowning Variations"--which seemed to be the story of her process of writing a story that had been in her mind in different forms over many years, and tells how it completely transformed with each incarnation. I found that one particularly interesting as it was so focused on the process yet the story itself completely sucked me in. My only real complaint--and yes, I found this enough to drop a star because it was incredibly frustrating--is the size of the font of the side-comments. It is *tiny*. That was not the case with The Curiosities, which had what looked like hand-written comments to the side, which added to the character of the book. In this one, the side comments looked like comments used in Word when editing--maybe a cute idea to mix things up, but caused much eye-strain for me, and there was really no need as there was plenty of room to make the font a couple of points larger. Still, a book I loved and recommend.